The spaces where we live and work are vibrating energetically in the vast energetic field of the Universe. Everything around us influences the flow of active and passive chi energy. Feng shui is the art of choosing an environment that is conducive to good luck and then enhancing that environment to encourage good luck to manifest and bad luck to be suppressed. For example, you may not be aware that the direction your bed faces when you sleep can be blocking your health and success or the direction you face while in a meeting can affect a successful outcome for you. 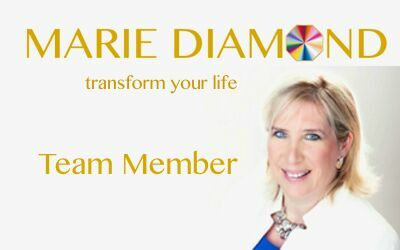 Would you like to experience more success, better health, great relationships or support in your education and spiritual growth? Feng shui can help you to achieve these goals. The practice of feng shui originated in China over 4,000 years ago. The study of landforms; the flow of water courses, the shape of mountains and most importantly searching for the green dragon’s lair hidden in the valleys and ridges of mountains was the earliest study of feng shui. Feng means wind and shui means water. Its principles were applied by all villages to boost their harvests and avoid the harsh elements of nature. However, as the benefits of feng shui became more widely known, the ruling Emperor and Imperial Court were afforded the prerogative and the secrets of feng shui were closely guarded. With the advent of communism in China and the rule of Mao Zedong as the new ’emperor’, feng shui was banned and many practitioners fled to avoid persecution taking with them ancient texts on feng shui. The western world gained awareness of feng shui through the New Age movement, where focus was given to the totality of the mind, body and spirit. In the search for more balance and harmony in our lives, the movement sought out the esoteric teachings of the east, and in the process the art and science of feng shui was revealed. The principles and practice of feng shui is now available for the benefit of everyone. In the frantic, stressful 21st century, our homes can be a haven of balance, harmony, peace and prosperity if we choose to avail ourselves of this ancient wisdom.